Facebook is a social network that businesses take extremely seriously. This view was reinforced at the highly regarded StartUp 2017 annual event this month. It’s an event we highly regard in the business calendar, and is attended by SMEs and Start Ups who are looking for news, insights and advice for the coming year. 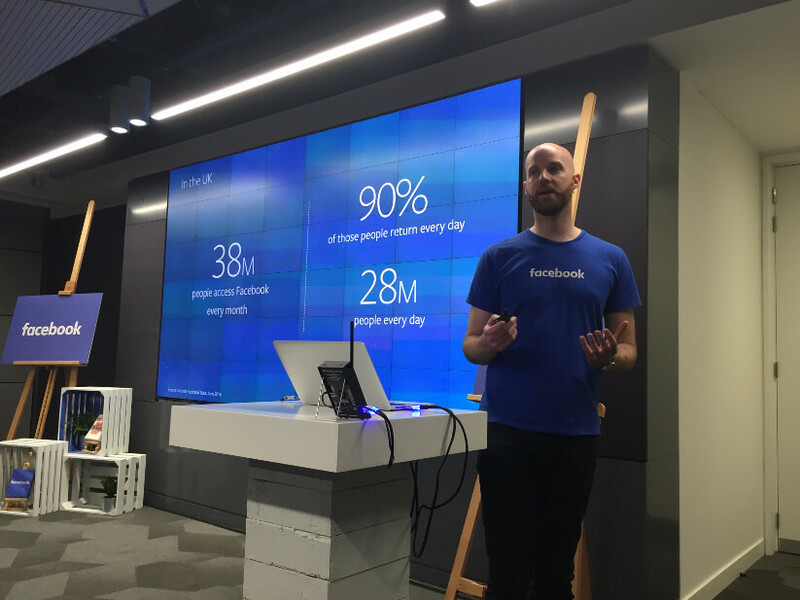 As well as being a great networking opportunity, there was a fantastic attendance to the Facebook and Instagram’s ‘how to grow your business’ seminars. The queues were into the hallway for securing a seminar seat, demonstrating the demand and appetite to drive growth through these networks. Some customers are very confortable with the Facebook environment, therefore are reluctant to navigate outside from the network when they’re already engrossed in it. Facebook Business pages are a to create a professional environment for your company inside the Facebook environment. It provides on-page areas that you can populate with practical and useful customer information, such as an ‘about’ area, opening times, contact information, in addition to a prominent ‘call to action’ (CTA) button. The CTA button can be many things just as ‘call now’, ‘message now’, ‘buy now’ etc. reflecting the business objectives you’re focusing on. As video becomes an extremely popular content format, Facebook are going one step further with Facebook Live, a feature for capturing and ‘creating moments’ as they happen. Essentially it allows you to live stream content straight from your device to your Facebook community. Companies such as ‘Benefit’ use the service to provide a weekly ‘Tipsy Tricks’ to ask the audience of the products they want more information and demonstrations from. The audience feedback can be created with the use of a poll, which is populated in real time. The nuts and bolts for business is the ‘Facebook ads’, allowing businesses to advertise their services and products to Facebook users outside their community. It provides an opportunity to engage and reach Facebook users who are not already aware of your offering. Targeting is the key to reaching the most relevant Facebook users, allowing you to identify the demographics, interests and behaviours. These tailoring filters support businesses that have a specific target market in mind. If you’re interested in more information in what Facebook can provide for businesses, head over to www.facebook.com/business/resources. Alternatively please do not hesitate us to discuss your social media objectives.